From steel strips to the car body – this process must be perfectly designed and must run seamlessly. Seamless coordination between all drive components is vital for productivity in the press shop. With our drive technology and automation solutions, your systems will be fully and reliably connected. Materials handling technology plays a very important role in automobile production. In addition to a modular structure, a reduced number of variants is the most important factor in terms of increasing flexibility and minimizing costs. 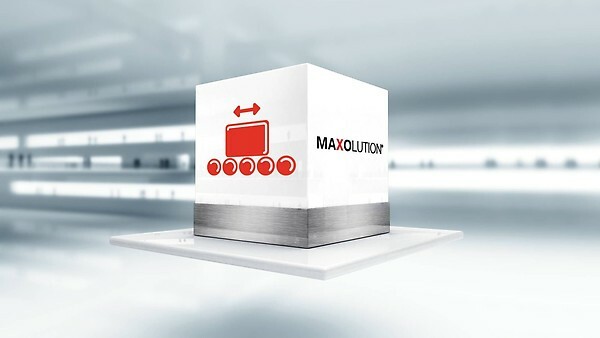 With our MAXOLUTION® packages, you can considerably reduce both the complexity of your system and your installation costs. Our drive technology and expert knowledge ensures maximum productivity, energy efficiency and reliability for your systems. Our advisors work with you to develop designs tailored precisely to your requirements. MAXOLUTION® package for conveyor lines – The efficient solution for material flow in your systems. 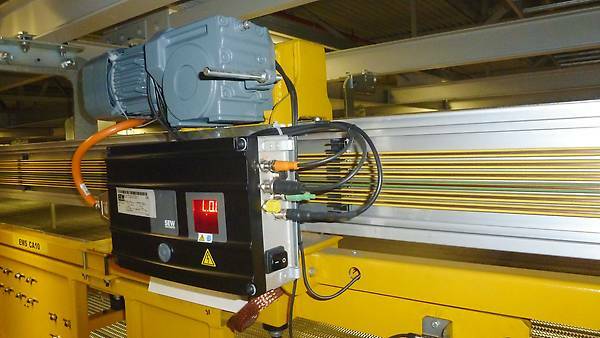 The MAXOLUTION® vertical conveyor package: Reliability and fast component exchange for reduced downtime at your lifting stations. We implement variable and efficient mobile transport systems that are capable of autonomously controlling the internal flow of materials, thus contributing to greater efficiency. We provide suitable products and systems from drive and automation technology and safety technology to energy management. Our experienced experts work with you to develop sustainable designs and provide comprehensive support. Benefits to you from using our drive technology: Simple startup and operation, increased safety and flexibility, and above all, reduced installation and operation costs. Automated guided vehicle systems offer a higher degree of flexibility, no obstruction of floor space, standardization, and a higher degree of efficiency compared to other automated logistics systems. Our stacker cranes offer a number of great features – high drive technology availability, low maintenance costs and energy savings of up to 50% through regenerative power supply modules.